In the write-up “Taking on industry’s risks” (April 16-30, 2011), the authors question the proposed symbiotic venture plans of the Department of Biotechnology in collaboration with some multinational companies. It is time to accede to the progressive policies in agriculture rather than evade them for petty gains. One should feel proud of the successful model being adopted by the Department of Science and Technology and some industries under Industry Partnership Programme (IPP). Under the IPP agenda, the government granted liberal funds to research institutes in partnership with industries, which in turn proved to be harbingers of success. The spirit of the venture is to work hand in glove with anyone who is transparent, without forgetting to keep national bio-surveillance on its toes. As public scientists and educators, we are concerned about the poor state of awareness among the wider community because molecular genetics is a complex field and requires specialised training. But why call the biotech multinational companies “notorious” for keeping its findings secret. Let’s take a leaf from the world of medical biotechnology. If there were something inherently hazardous about the process of GM technology, then these pharmaceutical products would be perceived as hazardous. But they are not. Apropos of “The big idea for change: bamboo as grass” (April 16-30, 2011), the government can put restrictions on bamboo that lies in the forests. But why set rules for bamboo that grows in private land? Many industries that use bamboo as raw material, like the agarbatti (incense sticks) industry, are not able to perform well because of restrictions imposed on selling of bamboo. The government should bring bamboo under the horticulture division. Bamboo-based industries should be encouraged. One can build houses using bamboo; it requires very less investment. The government should change its policies in a way that bamboo forests are protected. It should promote it by giving planting material and technology for cultivation. Years ago when cyclostyling was used, the price of bond paper was very high and its use restricted. Subsequently, copiers became ubiquitous, and today quality paper is wasted in large quantities. It would be good if paper became expensive again; its reckless use will end. Moreover, it will be replaced by electronic communication, which means less pollution and more sustenance. Bamboo can be used to make solar cookers and solar concentrators. 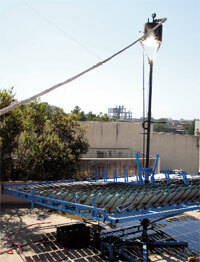 It can easily replace steel strips, rods and hollow box pipes in these solar devices. A cheaper solar device made of bamboo will not only create huge domestic and export markets, but also give a career option to people living in villages. Although making a solar cooker using bamboo is easy, constructing large solar concentrators (64 to 90 sq m), which are used in solar thermal plants, is a big challenge. Usually, the supporting frame of a concentrator is 11 m by 11 m, which revolves on a single vertical pillar. I have constructed a solar concentrator (see picture). I used a hollow box tube of 50 mm by 50 mm to make the concentrator’s frame. The frame has to bear weight of about 500 mirrors of 90 cm by 20 cm (about 750 kg). If all this can be constructed using bamboo, the cost of solar thermal power plants could be reduced, and they could compete with coal-based thermal power plants. 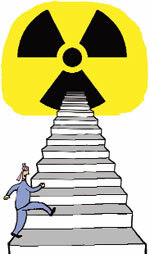 Views in the article “Nuclear reality, damaged democracy” (April 16-30, 2011) are one-sided. In this era of global warming nuclear power is the only solution left. Hydel power requires high investment, so does solar and wind power. Nuclear power is like democracy; it is probably the worst solution but the only one. 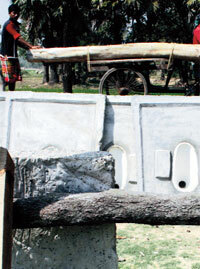 People are still not aware of the consequences of lack of sanitation (‘A toilet per second’, April 1-15, 2011). Other constraints in Total Sanitation Campaign are accountability and poor participation. The deadline is coming nearer: TSC by 2012 and Millennium Development Goals (MDGs) by 2015. The authorities are trying to find short cuts. The South Asian Conference on Sanitation (SACOSAN) is trying to review the situation. It needs more legal teeth to create better impact. Some ways of achieving the TSC targets are: making panchayat accountable for the work, involving households, using capacities of non-profits and other community groups, adding rainwater harvesting unit and finally, making an action plan with an effective monitoring and evaluation system. This refers to “India now has 1,706 tigers” (April 16-30, 2011). Such estimates show management interventions have become efficient. The data is more realistic compared to the earlier ones based on pug marks. However, more emphasis is needed on upgrading the front line management system if the government is serious about increasing or stabilising tiger population. Does it have a systematic and transparent patrolling, monitoring and reporting system in place yet? Did it put serious effort in improving reserve management as recommended by the Tiger Task Force in 2005? Tigers still have a bleak future. Voluntary village relocation programmes are under way in some areas but they need to be expedited. Gandhi was a liberal (‘Respect Gandhi’, April 16-30, 2011). Whether the reported matters of his sexual orientation were demeaning to him or not is no longer determinable as he is no more. Laws against “denigration” or “defamation of iconic personalities” will take India back a few centuries. The article “Hope flickers” (April 16-30, 2011) was on the ball. 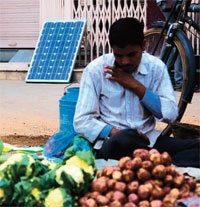 The much-hyped solar electricity has hardly provided energy for rural households. Such electricity is best utilised when it comes to cooking and lighting lanstove (lantern combined with cook stove). The Kerala government is well within its right to shut down operations of industrial entities (fertiliser factories), including state-owned, that have been degrading its environment and affecting people (‘India still in endosulfan denial’, November 1-15, 2010). Once it does that, the industrial authorities would appeal to the high court for reopening. This legal battle would sensitise the citizens of India, and another people’s movement would erupt to force the Central government to change its policy on the production and use of inorganic insecticides and pesticides, like endosulfan. Despite promises, agriculture has not received the required attention and support. The editorial “Think differently, Mr Finance Minister” (March 1-15, 2011) may be the right remedy for the malady. The government should introduce new technology and methods to achieve global rate of productivity. 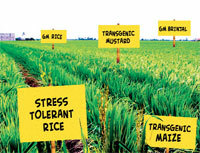 Infrastructure for crop storage, methods that increase their shelf-life and transport are needed. Instead of burdening farmers with loans, saving schemes should be encouraged. Complete insurance coverage for farmlands and farmers is necessary. Connecting rivers to end the paradox of drought and floods should be given serious consideration. Agro industries should be built to provide employment to small and marginal farmers. They should get remunerative price for their produce. Sanitation, healthcare and education need to be improved in rural areas. It should be ensured that all villages are supplied electricity. The government’s aim should be that the farmer is able to get a stable income irrespective of climatic or other changes. The article “If disaster strikes” (April 1-15, 2011) mentions “...tsunamis killing over 200,000 people in the eastern coast of south India”. The figure is incorrect. More than 10,000 people were killed by the 2004 tsunami in India. Another line in the article reads, “...11 states in India, including Chhattisgarh, Haryana, Himachal Pradesh and Jammu and Kashmir, have still not constituted them.” “Them” refers to “disaster management plans” and not disaster management authorities as evident from the context. We regret the errors.